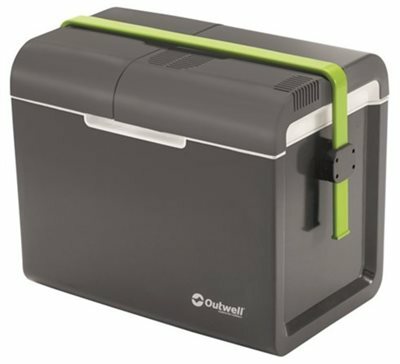 Made with high density Polyfoam that maintains performance whilst offering a lighter weight then other cooler boxes, Outwell Ecocool Lite models have ample inner space with an internal divider for easy packing. Offering great value for money, options include 24L 12V & 12V/230v models. Ecoool lite models have Smart handles that make it easy to pick up and carry and do not interfere with the power lead. Cooling vents are neatly built into the design to avoid the electronics overheating during prolonged use for family picnics and campsite food storage. Well made and great layout, I really like that you can put your bottles in one side and keep the food in the other.